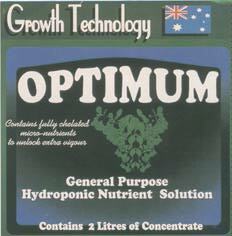 This UK made nutrient mix is based on over 20 years experience of Hydroponic growing, each lire will make 330 litres of full strength solution. Europonic nutrient is specifically designed for rockwool systems. It contains fully chelated micro nutrients to unlock extra vigour. 2 part system, dilute 100 to 1. 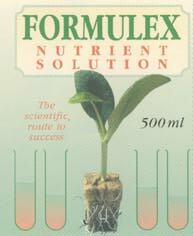 2 part general purpose nutrient solution, dilute 100 to1. Clonex seals cut tissues instantly, eliminating the risk of infection or embolism. Contains 3,000 parts per million of rooting hormone. Once you have added nutrient you will need to measure and adjust the pH of the solution. The solution is then adjusted using either pH up (phosphoric acid) or pH down (potassium hydroxide). Nutrient additive, alters the molecular construction of the water to improve transportation, cleansing and absorption within the plants circulatory system. 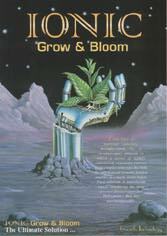 Totally organic and can be added to any nutrient solution. Contains high levels of Gibberellins and Tricontanol which assist in the process of cell division thereby increasing plant growth. Can be added to any nutrient.